Over time, it is almost inevitable that you will accumulate stains on your teeth from normal eating and drinking habits, even if you take excellent care of your teeth. Professional teeth whitening from Rancho Santa Margarita dentist Dr. Scott Karafin is a cosmetic dental procedure to remove discoloration and brighten your teeth. When your teeth are radiant and white, you will look younger and healthier, and you are likely to find yourself smiling more. Dr. Karafin is a caring dental professional who enjoys helping patients look and feel their best. To learn more about teeth whitening, contact our office today. Fabrications on front-facing teeth, such as veneers, crowns, or bonding, because bleaching agents only work on natural teeth. However, patients have the option to replace the fabrication to match the lighter color of their bleached teeth. Intrinsic stains that affect the dentin layer of the tooth, which are usually grayish in appearance. Patients with these deep-set stains may be better candidates for veneers, bonding, or crowns. Gum disease, worn enamel, cavities, and exposed roots. Patients with these conditions will need restorative treatment before whitening can be administered. During your consultation, Dr. Karafin can help you explore your options and choose the best strategy for whitening your teeth. Dr. Karafin uses Boost products for in-office and at-home whitening. Though the process differs slightly, each system works by applying a bleaching agent to the surface of the teeth that dissolves and lifts away stains. The mint-flavored gel contains potassium nitrate to decrease any sensitivity that can result from teeth bleaching. In-office whitening is the quickest way to get results. 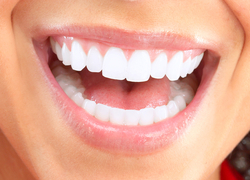 All it takes is one visit to achieve a significantly whiter smile. First, Dr. Karafin will apply a gel to your gums and cure it with a light, forming a rubber-like barrier. This will protect your gums from the bleaching solution. Next, he will evenly apply the prepared solution on the front surfaces of your teeth. Some other systems use a light during this step, which tends to heat teeth and dry them out, resulting in increased sensitivity. However, Boost whitens effectively without using a light. The gel remains in place for 10-20 minutes before being removed, and your teeth are then rinsed and dried. This process is repeated three to four times to achieve the desired results. Boost take-home kits contain either custom or standard dental trays that you can use at your convenience. Typically, it takes about one to two weeks to achieve your final results. Dr. Karafin can also supply at-home kits as a touch-up for patients who have undergone in-office whitening. Depending on your personal habits, touch-up kits can be used every 6-12 months to maintain your results. Like in-office whitening, the take-home kits deliver brilliant results with minimized sensitivity. Whitening your teeth is one of the simplest things you can do to enhance your smile. With the Boost system, your whitening experience can be safe, convenient, and comfortable. 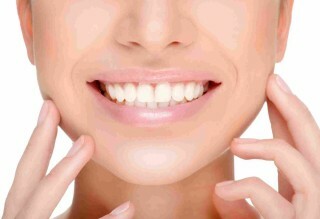 We also offer package deals that include free extra whitening gel with regular dental cleanings. To learn more, schedule an appointment today.